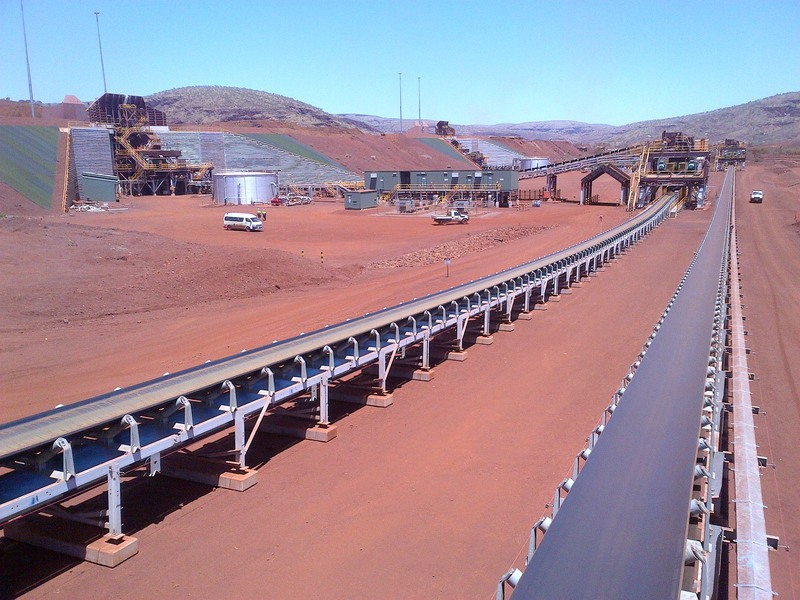 The Solomon project overland conveyor construction package consisted of three conveyor systems that include structural, mechanical, piping, belt and electrical installations for each conveyor. Three conveyor systems – CV704 – 3.84km, CV113 – 1.25km and CV123 – 1.07km total of 6.16km. The client supplied conveyor systems were loaded and transported from the laydown area to site using 400t Crane and self propelled motorised transporters (SPMT) to carry 3 large transfer tower structures that each weighed over 110t. 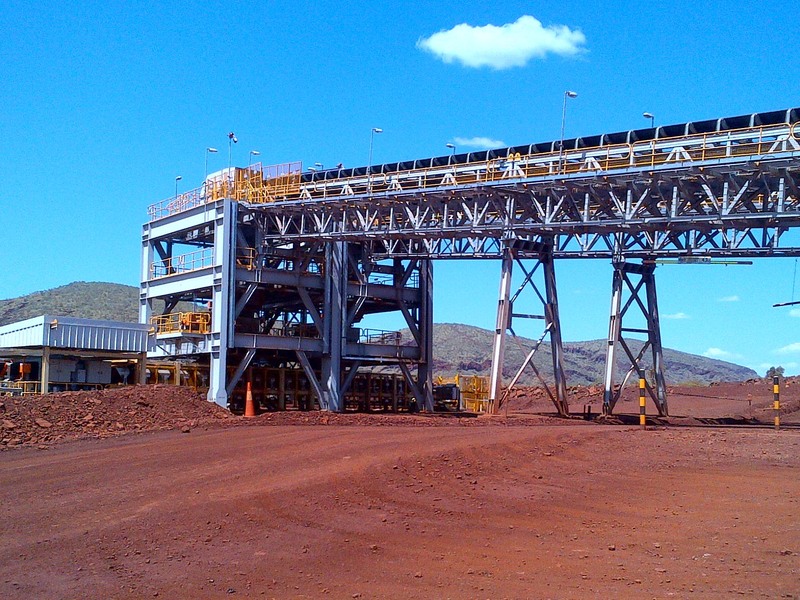 Smaller sections were loaded and transported using 250t, 130t and 50t cranes. The team assembled, installed and aligned 891 standard ground modules each spanning 6m and carrying 5 to 6 idlers. CV704 consisted of 3 drive pulleys and 6 non-drive pulleys at the head and tail ends of the system. CV113 and CV123 each with 1 drive pulley and 4 non drive pulleys. Further 6300 trough idlers installed. CV704, CV113 & CV123 conveyors consisted of the installation of switch room equipment, power cables from transformers, cable ladders, conduits, field equipment, VSD, drive motors, lighting and small power, control cables, earthing, fibre optic cables and terminations and testing to achieve commissioning. 18,500 man-hours were spent to achieve the installation of all field equipment and the 97,000 metres of cable. CV704 belt is 1800mm wide and 18 splices to install the 30t belt reels. 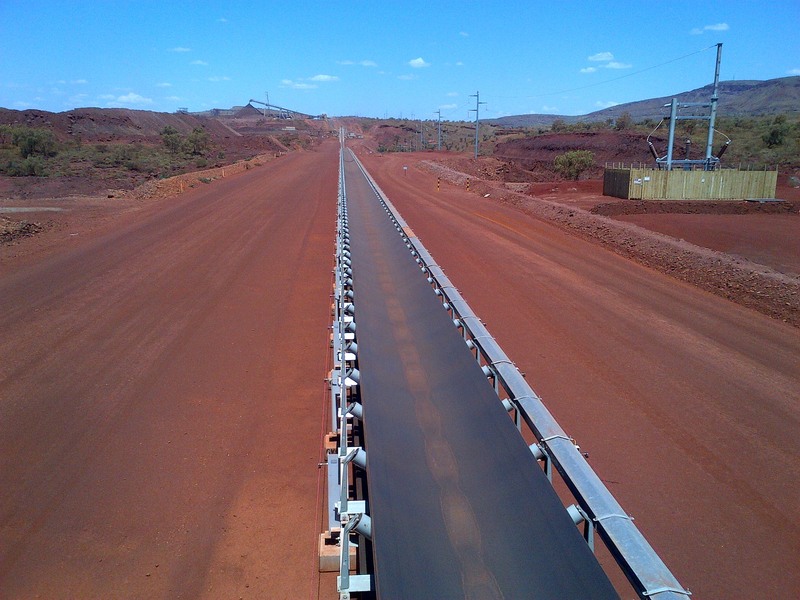 CV113 and CV123 belt is 1400mm wide and has 13 belt splices. 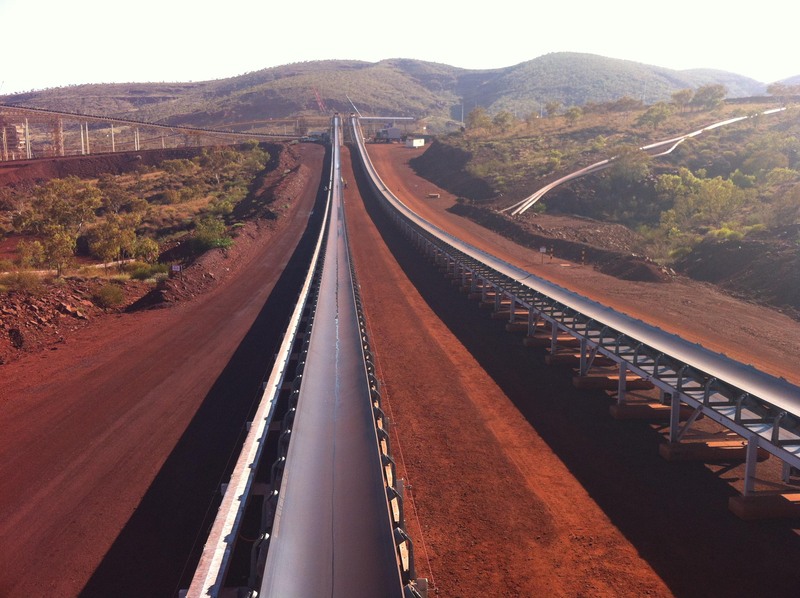 The 12.3km belt was installed in 46 days. 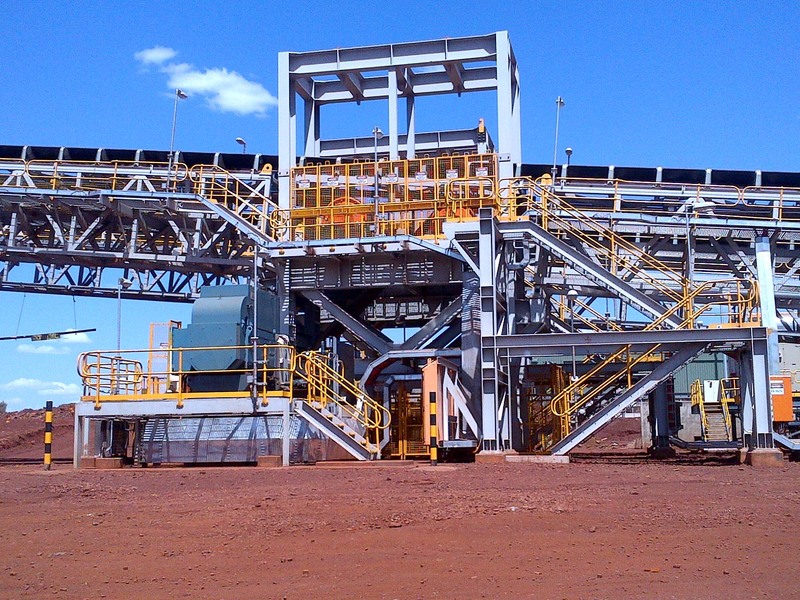 Each conveyor Transfer Tower System contains several air canons which require piping from air compressors. 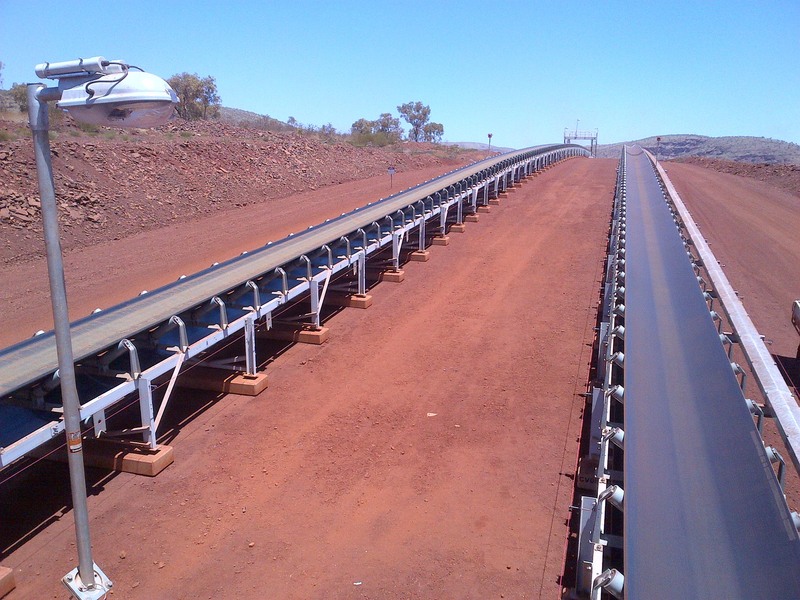 Water spray systems for dust suppression are located at the tail end of each conveyor.